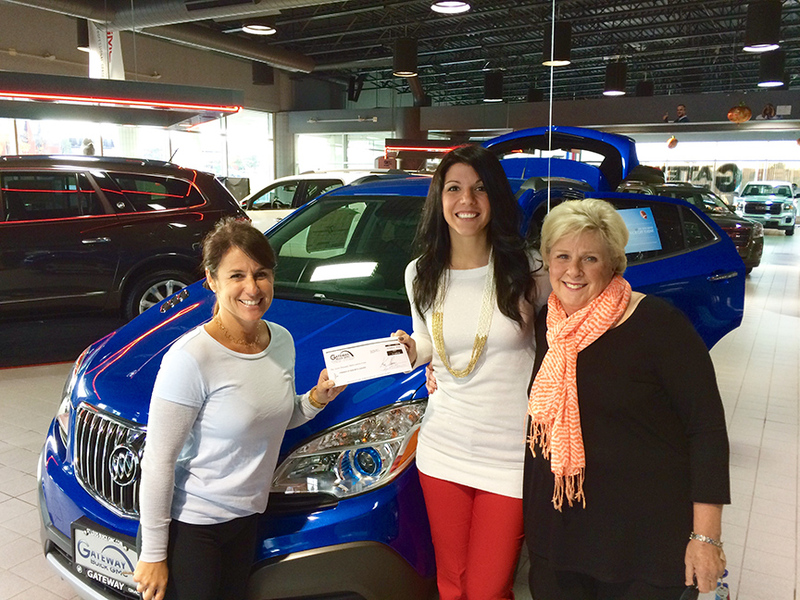 Friends of Kids with Cancer | Gateway Buick GMC sells cars to raise money for 'Friends'! Gateway Buick GMC sells cars to raise money for 'Friends'! The AMAZING folks at Gateway Buick GMC (820 James S. McDonnell Blvd, St. Louis, MO 63042) are truly unbelievable! After deciding to donate a portion of the proceeds of every car sold in September 2014 and January 2015, Gateway Buick GMC graciously chose Friends of Kids with Cancer ONCE AGAIN to receive a donation from the cars sold in June 2015! What an incredible group of people! After raising $7,000 in September 2014 and $7,900 in January 2015, Friends of Kids with Cancer is honored to accept a $8,500 from sales in June 2015! 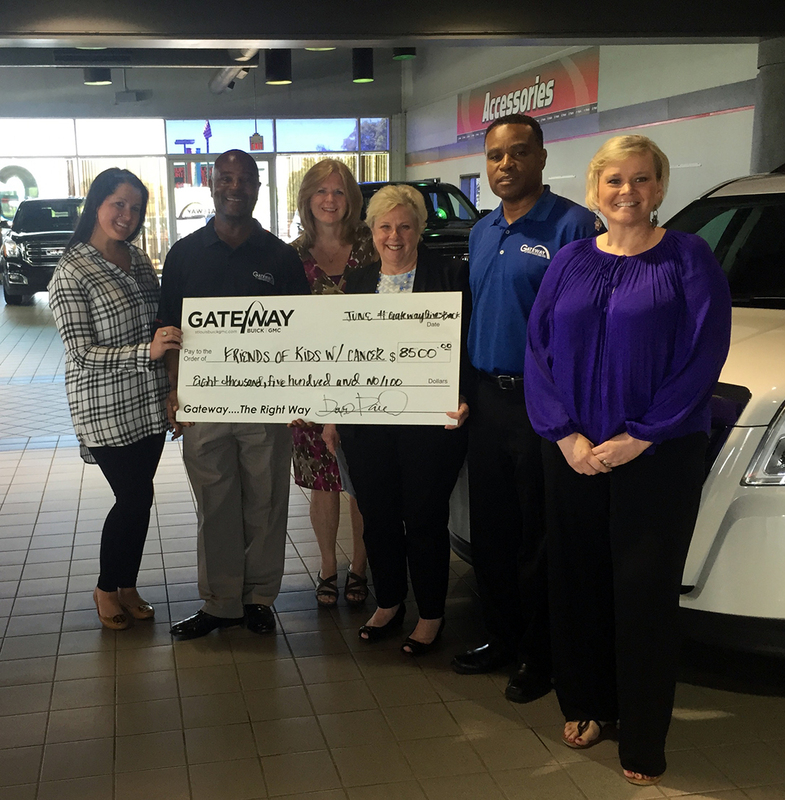 THANK YOU, THANK YOU, THANK YOU to our amazing Friends at Gateway Buick GMC! Thanks for helping kids with cancer...be kids! Friends of Kids with Cancer accepting the check from sales in June 2015! Friends of Kids with Cancer accepting the check from the sales in January 2015! 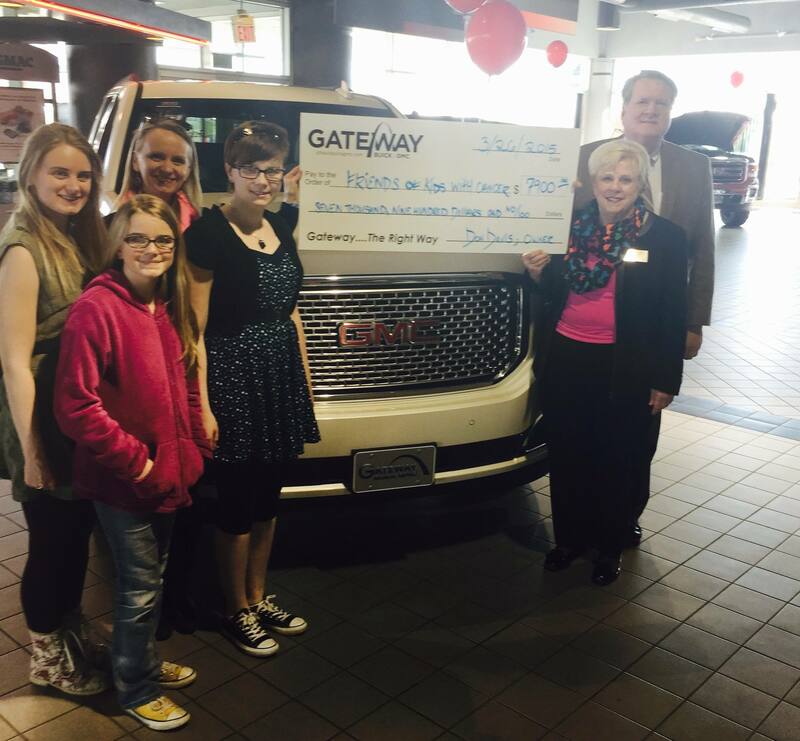 Friends of Kids with Cancer accepting the check from Gateway Buick GMC after sales in September 2014!